I love grapefruit so much, I often go through periods where I eat one a day! I think it was my grandma who got me hooked on them because my first grapefruit memories involve me watching her slice one open, and then carefully sprinkle a thin layer of sugar on top. I would then of course sprinkle some extra sugar on mine, making a very thick layer of sugar on top 🙂 As I got older, I started to appreciate the taste of grapefruit so much that the sugar topping was banished, and all I wanted was the pure, unaltered fruit! 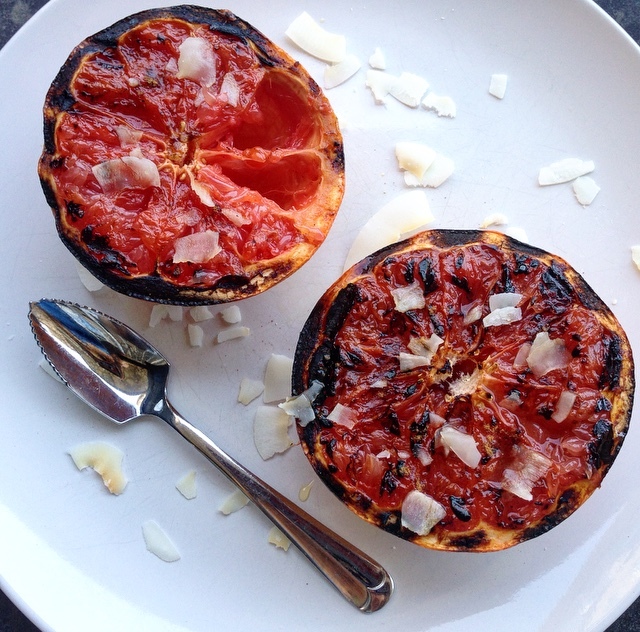 But then yesterday I made this grilled grapefruit on the BBQ for the first time, and I have now entered a new phase of even deeper love for grapefruits. 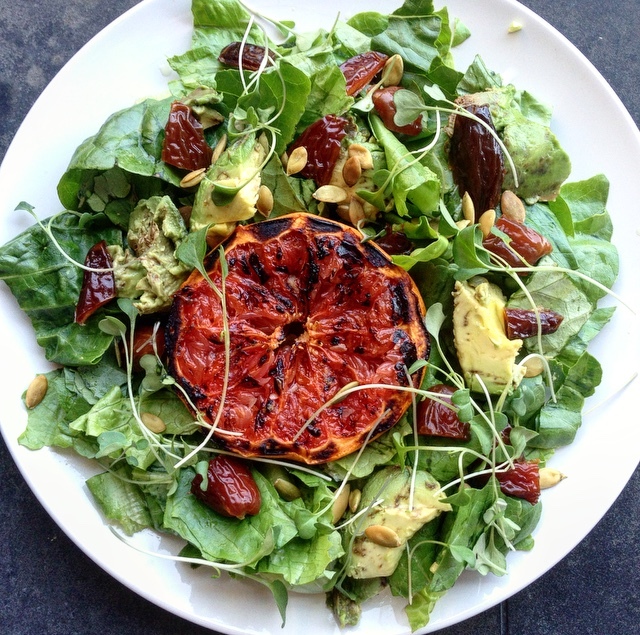 This grilled grapefruit is so amazing, I ended up making 3 of them yesterday; I ate two of them on their own, and chopped one up and added it to my salad! DROOL! I think this is my new favourite way to enjoy smoked salmon! I’ve been having fun experimenting with making different flat breads lately, (aka fancy pizzas), because I bought a gluten and dairy free Flax Pizza Kit by O’Doughs that I’ve really enjoyed! The kit comes with 4 crusts that can be used to make pizza, garlic bread, or whatever your heart desires! 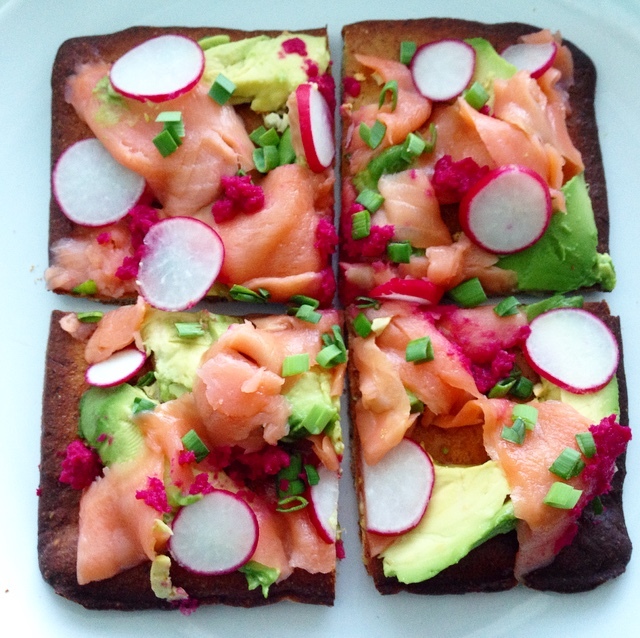 This smoked salmon flat bread is definitely my favourite meal that I made using the crusts. The next time I make it, I’m going to try it with either a cauliflower crust, or my dairy and gluten free crust. Nice cream is an easy, dairy free version of ice cream! The base of nice cream is just frozen bananas and some almond milk, and then you add whatever other ingredients you want. For this nice cream I flavoured it with matcha green tea, coconut, vanilla and honey. How do you top banana bread? 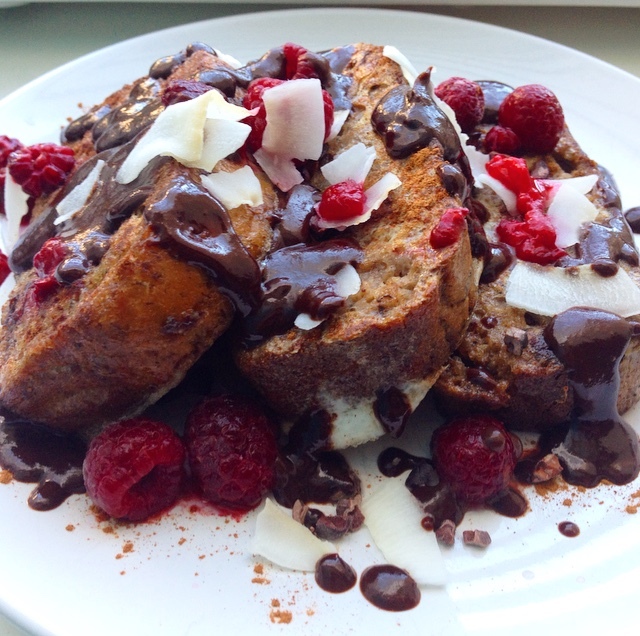 Banana bread FRENCH TOAST of course! 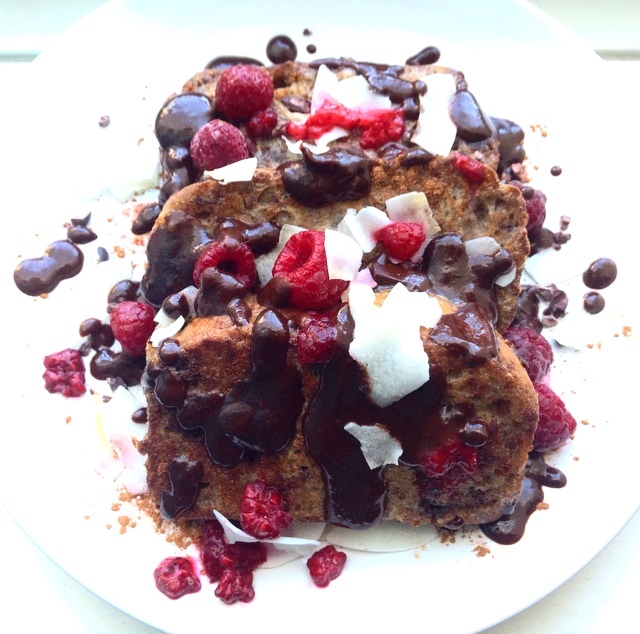 Once you have made the banana bread, (try one of these), it is really easy to make this! Do I want this for breakfast or dessert? Yes and yes.